Many women are interested in having abdominoplasty performed at the time of cesarean section. Women would like to remove the excess skin and stretch marks that form during pregnancy. Abdominoplasty has been combined with gynecologic procedures and appears to be safe. Therefore, a literature review was done to investigate the data regarding the combination of abdominoplasty and cesarean section. A literature search was performed on combined gynecologic surgery and abdominoplasty. Combining abdominoplasty with other gynecologic procedures seems to have different risks and aesthetic outcomes than when combined with cesarean section. Reprinted with permission, Am J Cosm Surg. 2014;31(4):260–3. Martin JA, Hamilton BE, Ventura SJ, Osterman MJ, Wilson EC, Mathews TJ. Births: final data for 2010. Natl Vital Stat Rep. 2012;61(1). Available at: http://www.cdc.gov/nchs/data/nvsr/nvsr61/nvsr61_01.pdf. Retrieved 6 Mar 2014. American Society of Plastic Surgery. 2012 Plastic Surgery Statistics Report. 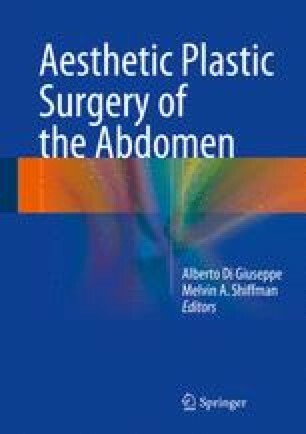 Available at http://www.plasticsurgery.org/Documents/news-resources/statistics/2012-Plastic-Surgery-Statistics/full-plastic-surgery-statistics-report.pdf. Retrieved 6 Mar 2014.